The mix proportion design of microsilica fume concrete is mainly based on the design requirements, the method of silica fume incorporation, the best dosage of silica fume, the optimal dosage of water reducing agent and the adjustment of sand and aggregate, while others are carried out according to the ordinary concrete design method. there are two methods of silicon powder in concrete: one is internal mixing and two is admixture, and all of them should be used in combination with water reducing agent. In addition method is often used instead of silica fume cement, and replaced equally and part of the equivalent replacing two, equivalent to replace silica fume instead of equal parts instead of 1 kg cement, silica fume instead of 1 – 3 kg cement, 5% to 30% as the research content, water cement ratio is generally unchanged: but the content of law refers to the silica fume in concrete admixtures such as mixing, and the amount of cement is not reduced, content is 5% – 10%, the mechanical properties of the general additive method and the concrete is much higher, but increased the amount of cementitious materials in concrete. silica fume in concrete admixture is too little, little improvement on the performance of concrete, but the content is too much, then the concrete too sticky, easy construction, and dry shrinkage, frost resistance is poor, therefore, silica fume, should find out the optimal dosage in order to get the best results. In general, the effect is satisfied within 10%. The appropriate dosage of silica fume is usually selected according to silica fume, cement type and aggregate properties. 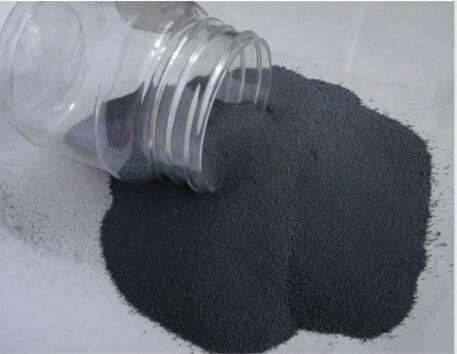 Several silicon powder dosage, such as 3, 5, 7, 10%, etc, are selected to form the concrete specimen, and the R – SF (strength silica powder addition) curve is determined. It is worth noting that the price of silicon powder is high, and the technical and economic indicators should be considered when determining the best dosage of silicon powder. C) optimum dosage of water reducer: the use of silica fume in concrete, such as superplasticizer, to maintain the same fluidity degree, it is necessary to increase the amount of water, the water cement ratio increases, the strength of concrete with silica fume can not go, this is also the past did not promote the use of silica fume in concrete. The combined use of silica fume and superplasticizer mixed with silica fume and water cement ratio unchanged, namely water consumption does not increase, also can achieve and silica powder concrete has the fluidity and strength of silica fume concrete the same performance has been greatly improved, the general widely used naphthalene superplasticizer, such as building 1, H, DH3, FDN N2B, NF, etc., the content is generally less than 1% of cement amount, sometimes in order to reduce the water cement ratio, mixing super high strength concrete, superplasticizer dosage of 2% – 3%. D) adjustment of the dosage of sand stone: in general, the content of silica powder is not necessary to adjust the amount of sand and gravel. Adding silica fume to dock with silica fume, equal volume of sand volume.